New York, NY – Jessica London®, plus-size women’s brand in the OSP Group portfolio, announced today that it now offers an extended size range–up to a size 40–for many of the brand’s modern, classic fashions, designed exclusively for the plus size woman. This new ‘up to size 40’ collection was recently launched in Jessica London®’s first Spring 2014 catalog and online at JessicaLondon.com. The collection features select items from knit tops to blazers to suiting, all designed to provide a flattering fit for a woman’s curvy body. Highlights include: Jessica London®’s signature linen collection (pants, skirt and single-breasted blazer) which offers simple, well-crafted pieces in impeccable fits and a broad spectrum of colors – new khaki, white, spice, kelly green, ruby, deep navy and black—sizes 12 to 40. There is also a beautiful maxi dress offered in five vibrant colors, a timeless boatneck dress made of stretch cotton jersey, stretch denim jeggings in fun, spring colors, and a fabulous leather zip jacket that will add that ‘wow’ factor to any outfit—again, all offered in up to a size 40. Jessica London® provides the plus size woman with a fantastic selection of apparel, lingerie and shoes that is classic, modern and career-oriented, empowering her to feel sophisticated and fashionable at work and everywhere else. In addition, Jessica London® consistently provides great quality, fit expertise and excellent service, all at strong value price points. Sizes range from 12 to 40, including petites and talls. 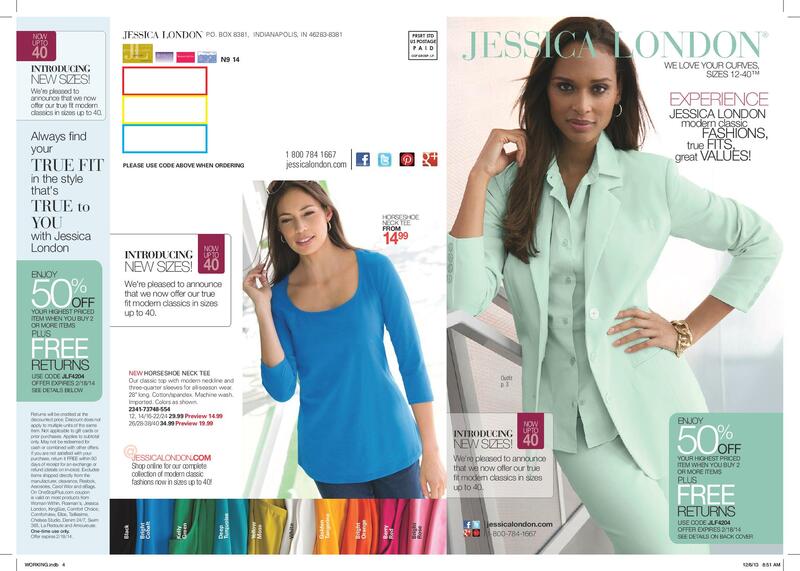 Jessica London® offers international shipping to 90 countries. Customers can visit JessicaLondon.com and order from Jessica London®’s 2014 Spring Collection, shop on the go via Jessica London®’s mobile site (m.jessicalondon.com), or download the iPad app and find that perfect outfit! Fashionistas and fans can also stay up-to-date with the latest Jessica London® styles and trends via the brand’s official blog, Facebook and Twitter pages.